With Aston Villa making it six wins on the spin in our Championship victory over Sheffield Wednesday and former manager Steve Bruce, confidence was high that we could extend that to seven on the spin in this evening’s clash with Rotherham United at the New York Stadium. Victory and all three points could move us above Bristol City as well, but it would definitely move us to within four points of the seemingly self-imploding West Bromwich Albion. It was a lively and typical tough Championship affair, with the suitably pathetic idiot in charge in the middle who deemed arguably accidental handballs as being punishable by a fate worse than death – yet tackles of all sorts must be fair play. In any event, after a handball, Tammy Abraham hit the worst penalty he’s likely to in his career and wasted the opportunity and being pleased with himself, the referee had a second go but sent Tyrone Mings off (34th minute) in the process, and Rotherham took the lead from 12 yards out. 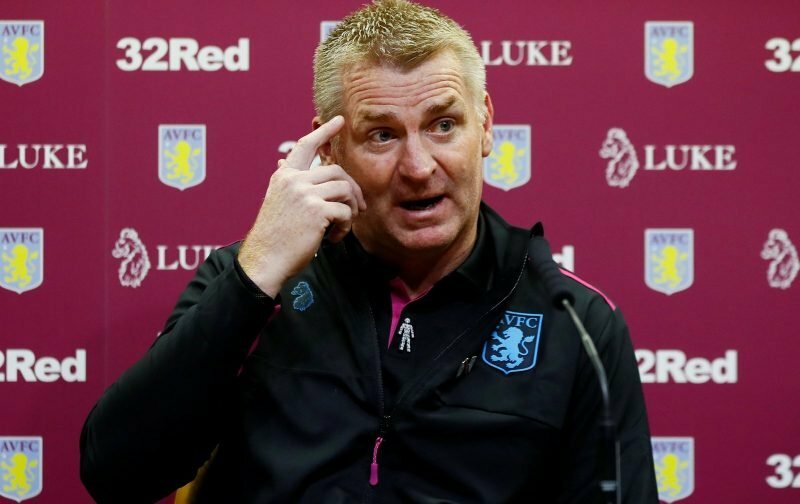 We were at sixes and sevens for a period with frustrations rising and John McGinn may feel lucky the referee hadn’t discovered dissent as tempers flared, but halftime, head coach Dean Smith can only have calmed them with one hand whilst rollocking them with the other, and second half we were a different beast. Another penalty was dispatched by substitute Jonathan Kodjia in minute 48 and we went at them. The reward came in the 51st minute as Jack Grealish added another to our tally as he secured the what became the winner. A perfect response in the final 45 and the only complaint was, with the chances created, it wasn’t a greater win margin. Credit to Smith as well, he earned his corn at halftime with his words and substitutions and set us on our way. Speaking to the BBC following the fulltime whistle, head coach Dean Smith said of the result.